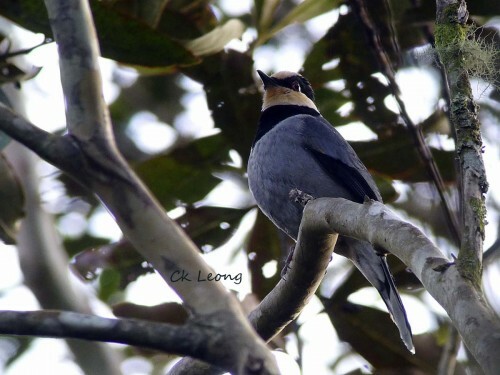 The Fruithunter Chlamydochaera jefferyi is one of the most sought after birds in the mountains of Borneo. 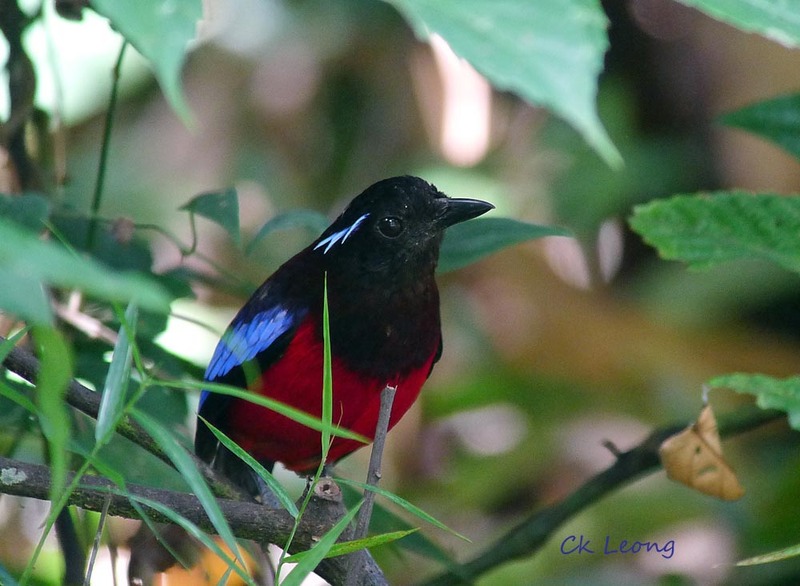 Its scarcity may be associated with its feeding habits of moving around the forest in search of fruiting trees and staying in the area for only as long as the fruit supply last. Also not very helpful is its high-pitched, drawn-out see-eet call which is usually very soft. Once I observed a pair taking turns to feed their young. One parent always stayed with the nestling while the other was out. Good parenting! 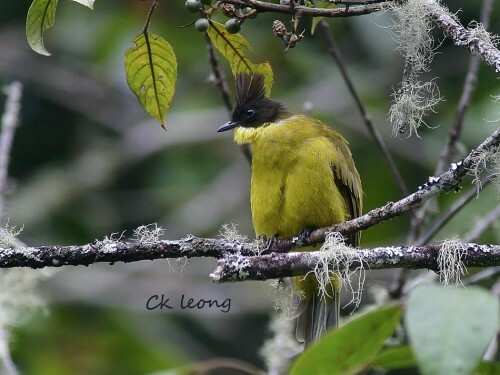 The Bornean Bulbul Pycnonotus montis is a montane resident, easier to spot along the Crocker Range and Rafflesia Forest Reserve but rare on Mt Kinabalu. It is a lively bird, conspicuous by its black crest, elevated when excited. Its yellow throat distinguishes itself from the Black-crested Bulbul P. melanicterus (black or red throated) with which it was previously subsumed. Here’s a case for bird photography. 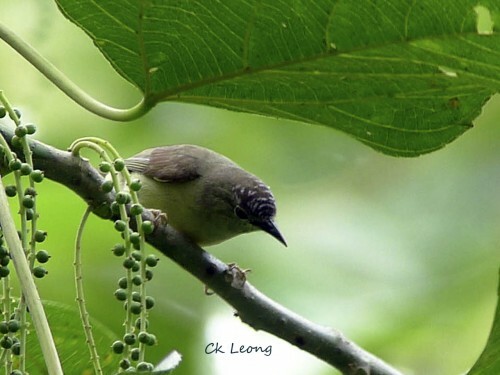 The Pygmy Ibon (Pygmy White-eye) Oculocincta squamifrons is locally common in hill forests populated with recolonizers of the Macaranga species of trees. 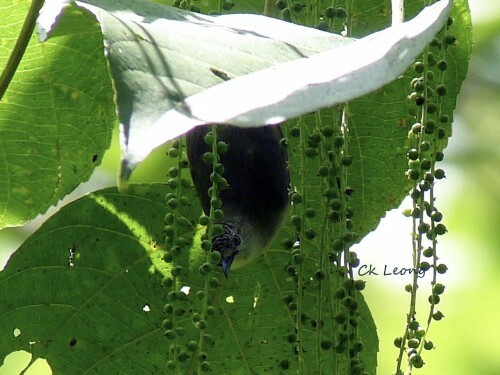 It has a tendency of being overlooked as it is more warbler-like and it is difficult to see the thin white eye-ring. With the luxury of photographic examination, the forehead appears more like thin wavy dashes in white than speckles as described in most publications. 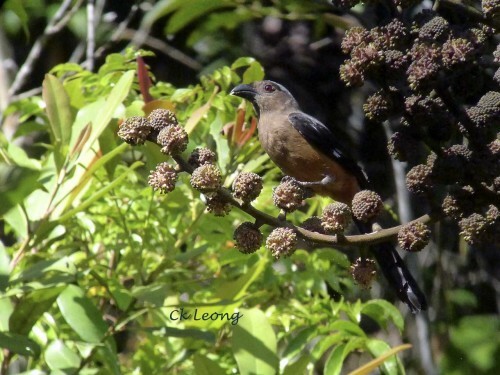 The Bornean Treepie Dendrocitta cinerascens is generally considered to be a montane bird but will on occasion be found as low as 600m. Usually in pairs or in a mixed party, it is loud and conspicous, with calls in flight and while perched. Its tail makes up more than half of the bird and is prominent in flight. You can’t miss it.